Teaser Tuesday is hosted by MizB over at Should Be Reading. To give our blog reader's a teaser of the book we are currently reading. For information on how to participate please visit the above link! 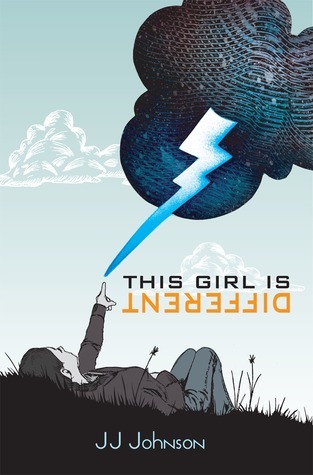 My teaser this week is from This Girl is Different by J.J. Johnson. Now I know your supposed to use two sentences but the following sentence I felt took away from the teaser a bit, so I left it at one! So far I'm really enjoying this book. I love the cover (though I have an e-galley) of this book. Very fitting for the story! Thanks for stopping by! Please leave me links to your Tuesday posts so I can visit you too! What an intriguing teaser and how very true. I'll have to add this book to my wishlist. My teasers this week are from Eve by Anna Carey and Mercury Rises by Robert Kroese. Happy reading! Just a short line but it packs a punch. Ah, I like this one! And now I want to know more...thanks! Oh, you're right! That's such a cool cover, and a good teaser too! Who doesn't love a little revolution?